What Type of Mouthguard Offers the Best Protection? Here are pros and cons of some of the different kinds of mouthguards. 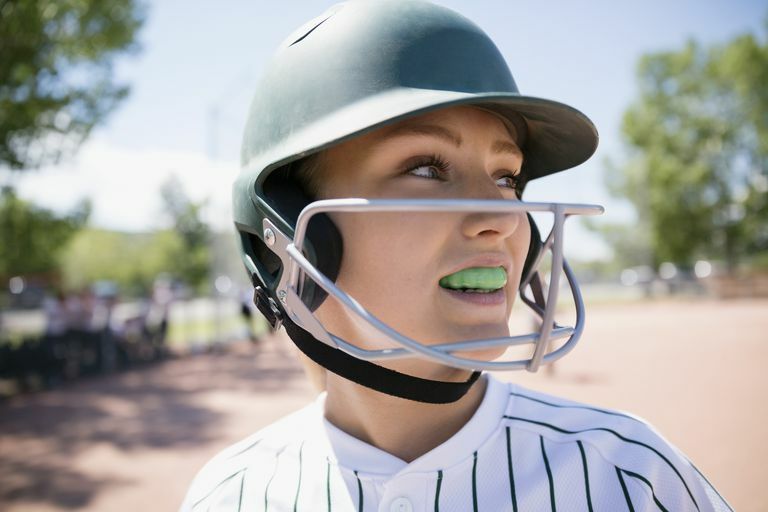 The type of mouthguard you choose to wear could affect the level of protection you will receive when involved in an accident related to contact sports play. There are three main mouthguards to consider wearing when participating in sporting activities. Consider how each of the following mouthguard types would benefit your situation before making your final decision on which kind to use. The stock mouthguard is typically the most inexpensive mouthguard available in most sporting goods stores, yet it offers the least amount of protection. You are unable to adjust a stock mouthguard to conform to the teeth; therefore they are likely to either slip off the mouth if too big, or pinch the gingiva, causing discomfort. Either situation could be rather distracting for the player and chances are the mouthguard will find its way into the equipment bag on the bench, where it isn't going to provide any protection. An injury to the tooth characterized by partial or total separation of the periodontal ligament resulting in loosening and displacement of the tooth. The alveolar socket bone is intact in an extrusion injury as opposed to a lateral luxation injury. In addition to axial displacement, the tooth will usually have an element of protrusion or retrusion. In severe extrusion injuries the retrusion/protrusion element can be very pronounced. In some cases it can be more pronounced than the extrusive element. Usually lack of response except for teeth with minor displacements. The test is important in assessing risk of healing complications. A positive result to the initial test indicates a reduced risk of later pulp necrosis. In immature, not fully developed teeth, pulpal revascularization usually occurs. In mature teeth pulp revascularization sometimes occurs. Boil-and-bite mouthguards are available in sporting goods stores, and are relatively inexpensive. The difference between a stock mouthguard and a boil and bite mouthguard is substantial. Hot water is all you need to adjust the plastic comfortably around the teeth. Keep in mind that forming a mouthguard correctly around the teeth and gums is not always as easy as it may seem, and it may be worth having a dentist help adjust the fit. It can take some time until it's comfortable enough for a player to wear. Custom-fit mouthguards are obtained through your dentist's office, and while they can be more expensive, provide the best possible protection overall. Available in as little as one week, the first appointment involves taking an impression of the maxillary teeth to be sent to the dental laboratory where the mouthguard will be fabricated. A triple laminate mouthguard offers the necessary protection, yet is thin enough to allow for optimum air intake, obviously a critical necessity for players. Custom mouthguards allow for slight adjustments as requested by the players to satisfy their preference. However in order to have optimum protection, the mouthguard should involve all the maxillary teeth extending from molar to molar. Previous guidelines suggested that a mouthguard made to extend from one maxillary cuspid to the other, would provide sufficient coverage. After examination, it was found that this type of mouthguard did not protect the back teeth when the player forcefully clenches during an impact, resulting in the possible fracture of the back teeth. Extending the mouthguard to cover all of the teeth may cause more bulk and may take longer for the player to become used to it. One thing is clear regardless of the type of mouthguard you choose: The quality of the protection is directly related to the quality of the product. It's recommended that anyone who participates in sports, especially contact sports, should be wearing mouthguards at any age level, especially young children. Getting children used to wearing mouthguards early will get them accustomed to how they feel, so it becomes second nature, just like putting on any other piece of protective gear.